Confession, I worship Jose Mourinho as a communicator and I miss him when he is not in the premier league. But, I really do feel sorry for Louis van Gaal. Football clubs are the worst for changing their leader on a whim. Unrealistic expectations, fan power, media pressure and lust for scandal, and impatient owners, make it a tough (though lucrative) job at any level. But here's the thing, no manager seems to try and rewrite the rule book, start in a different way, own their success from day one. As a new leader in any organisation it is essential to both understand AND set expectations in the short, medium and long term. Turnarounds take time, smarts, a team, and ultimately a collective will from all the organisation to row in the same direction. So if anyone can rewrite the rule book, it's Mourinho. He should start his tenure at Old Trafford by setting out what he wants to achieve over the next three seasons. Group his ambitions around business critical priorities like the team, training culture and culture, mental agility, silverware, champions league silverware. And then report back regularly on progress. A new leader always has a lot of pressure on them. But starting fresh, setting the tone, and owning their own success will set them up stronger than anything else. 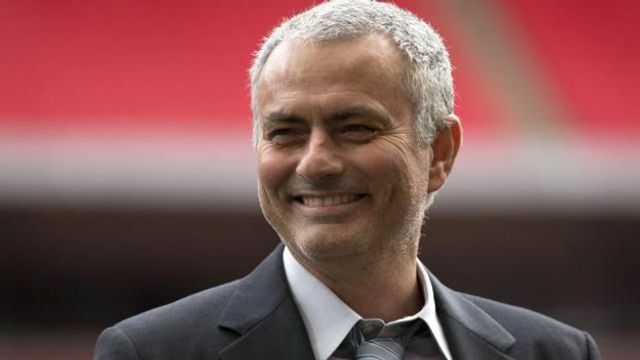 Manchester United are set to appoint Jose Mourinho as their new manager, BBC Sport understands. It is believed a deal with the 53-year-old Portuguese was agreed in principle before United's FA Cup final win against Crystal Palace on Saturday. With United failing to qualify for the Champions League under Louis van Gaal, the Old Trafford hierarchy is thought to have decided a change is required. We all know there has been no job security in football for some time. The prestigous FA cup not enough anymore.